Webkinz World and Webkinz stuffed animals will be long engraved in my mind. My grandkids and I had so much fun with them. 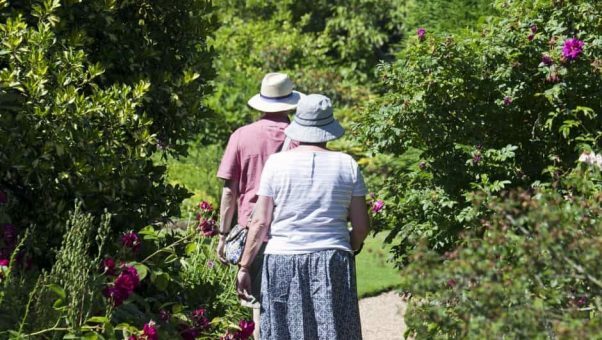 They are full of fun activities for grandparents and grandchildren to enjoy – whether they live nearby or long distance! My first set of grandkids have all grown older and gone on to other fun endeavors including Minecraft, Roboblox, and LEGOs. Happily one of my oldest grandkids and I enjoy a long distance game of chess via iPhone. We each make 1-6 moves per day with occasional texts and it’s one of the highlights of my day. 🙂 More highlights include the Hangman games via phone I enjoy with another. iPhone games are fun here and there. And chats with various grandkid phone buddies are also sweet joys. Yes, I suspect I’ll be back to Webkinz in the not-too-distant future with a couple of younger grandkids who may decide to give it a try. And happily, one of the many things that has NOT changed is that there are plenty of adorable Webkinz stuffed animals out there. They make such fun Christmas and birthday gifts. 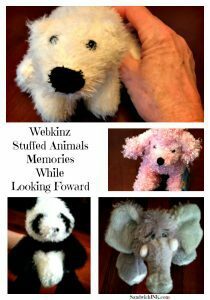 Even the grandchildren that aren’t into Webkinz World love those plush stuffed treats! 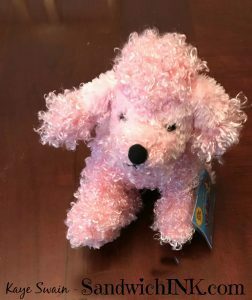 While doing some fun research (not to mention a bit of a walk down memory lane – isn’t our Pink Webkinz Poodle adorable! ), I noticed that Webkinz World has new options. In addition to getting a regular membership to Webkinz World by buying a Webkinz Stuffed Animal, you can also upgrade once you get to Webkinz World. The upgrades include several fun activities and options. And the nice thing is, you can do month to month or annual. Personally, I think the regular membership is plenty of fun. But of course, options are always nice to have. Speaking of options, you also have the option to create a free, albeit limited, account. It’s a great way to “test drive” with your grandkids to see if they will like it. Then you can purchase a cute Webkinz Stuffed Animal with a code for full access. Here’s the link to see a comparison of each type of Webkinz World account. One great thing about Webkinz – each stuffed animal we’ve bought has been very good quality. My grandkids continued to enjoy the stuffed animals long after Webkinz World had lost their interest. 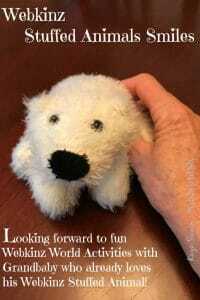 We still have a couple of them at my house that my littlest grandbaby thoroughly enjoys playing with, including the cute little Webkinz Lil’kinz polar bear above. Sweet smiles for both of us. Another thing I appreciate is that the price range includes choices for many budgets – a big help for grandparents who might be buying for several grandkids!